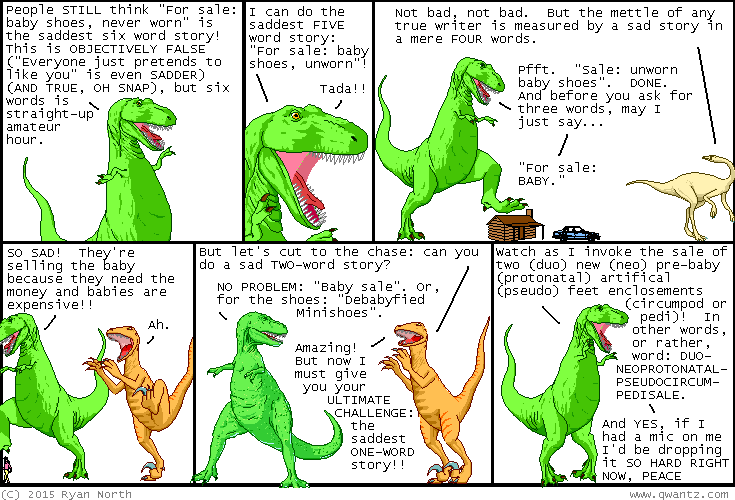 Dinosaur Comics - January 6th, 2015 - awesome fun times! –I wonder what the longest word in the dictionary is! January 6th, 2015: Unbeatable Squirrel Girl #1 comes out TOMORROW! AHHHHHH let's all buy it okay?? Let's do that thing I said! The first review of the book is out and I am blushing at how great that review is!